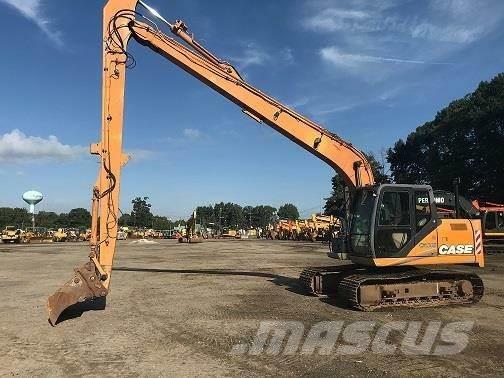 Additional Information Description: Enclosed Cab with heat and A/C, 38 ft Long Reach, Geith hydraulic coupler, digging and 72” smooth edge grading bucket. Original paint with no body damage. Electric fuel transfer pump. Good undercarriage remaining. Extra Counterweight package, Very Nice, clean inside and out. Minor repair on boom.